Italy’s coalition between the anti-system 5-Star Movement and the far-right Northern League will test its power today (5 June) in the first of this week’s two parliamentary confidence votes in the new government. The first eurosceptic government in a founding EU nation was sworn in on Friday after almost three months of political turmoil that raised concern across Europe and sparked weeks of volatility on financial markets. 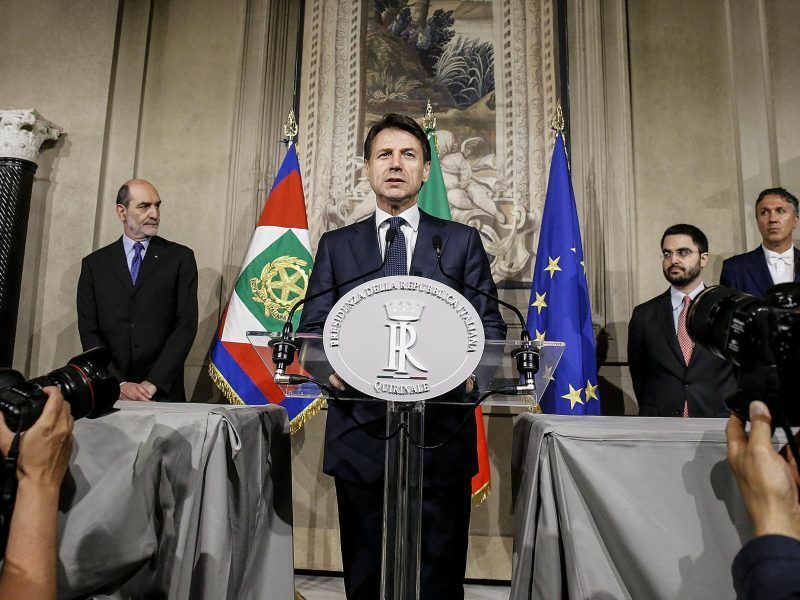 Anti-establishment and nationalist parties in Italy reached a new coalition deal on Thursday (31 May) reviving their plans to take power, narrowly avoiding snap elections and setting in motion an anti-austerity government in the eurozone’s third largest economy. The so-called yellow-and-green alliance between the 5-Star Movement (yellow colour) and Lega Nord (green) is expected to pass the confidence vote in the Senate today and in the lower Chamber of Deputies on Wednesday as the two parties hold a majority in both houses. However, both former premier Silvio Berlusconi’s Forza Italia party — a campaign ally of the League — and the outgoing centre-left Democratic Party have said they will not vote in favour of the new government. Headed by political novice Giuseppe Conte, it has promised to crack down on immigration, beef up security and embark on a series of ambitious anti-austerity measures. The 53-year-old prime minister inherits a daunting list of issues from his predecessor Paolo Gentiloni, including the financial travails of companies such as Ilva and Alitalia, a Group of Seven summit in Canada this week and a key EU summit at the end of the month. 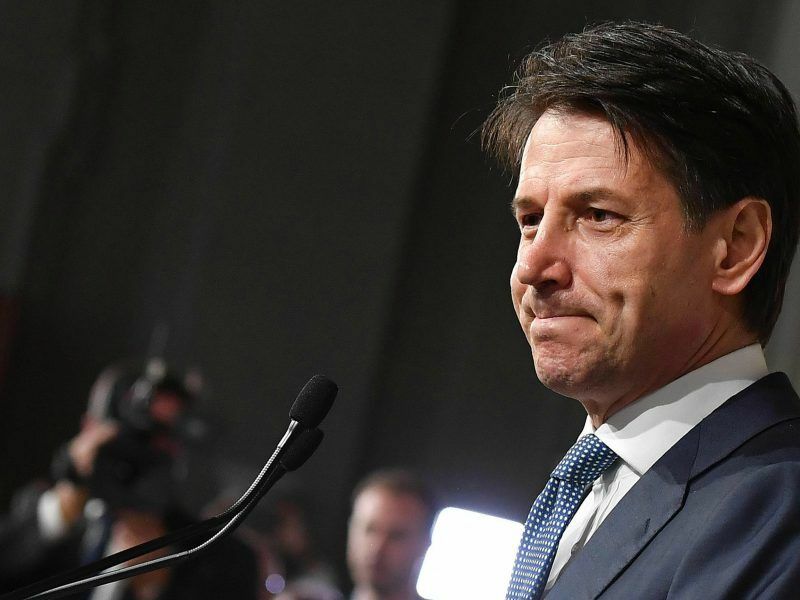 Italy’s president on Wednesday (23 May) approved little-known lawyer Giuseppe Conte’s nomination to be prime minister of a government formed by far-right and anti-establishment parties. Conte was a compromise candidate between 5-Star leader Luigi Di Maio and the League’s Matteo Salvini, both of whom are now his deputy prime ministers. His low profile has fuelled speculation that he will take a backseat to his two powerful deputies. Since being sworn in Conte has limited himself to a Facebook post in which he said that he had spoken with German Chancellor Angela Merkel and French President Emmanuel Macron and would meet the two leaders at the G7 summit. Unlike Conte, Salvini and Di Maio immediately began pushing their political agendas. On Monday Di Maio as the new minister for economic development and work met with representatives for food deliverers in Italy’s gig economy. Meanwhile new interior minister Salvini wasted no time tackling the hot button issue of immigration. Italy’s new hardline interior minister Matteo Salvini said Sunday that “common sense” was needed to stop the country from being “Europe’s refugee camp” as he visited a migrant centre in the south. The 45-year-old has repeatedly promised to cut arrivals and accelerate expulsions from a country where around 700,000 migrants have arrived since 2013. “The good times for illegals are over — get ready to pack your bags,” he said on Saturday. European Union interior ministers will meet on Tuesday to discuss possible reforms of the bloc’s controversial Dublin regulation, whereby would-be refugees must file for asylum in the first member state they enter. 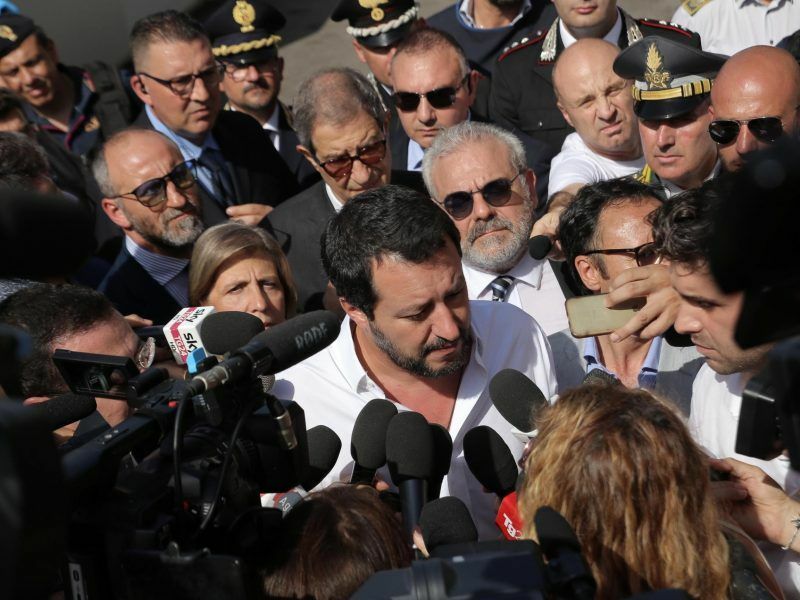 Salvini has blasted the Dublin regulation as unfairly burdening Mediterranean countries and leading to “an obvious imbalance in management, numbers and costs”. Salvini will not attend the EU meeting due to the confidence vote, but has promised to send a representative. 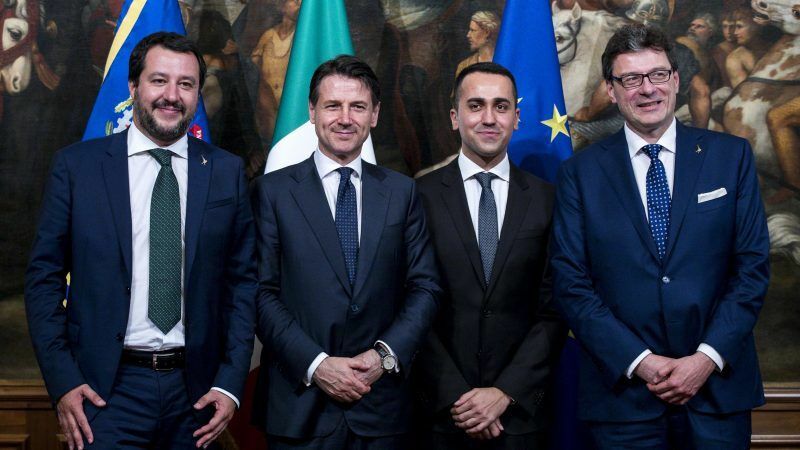 EU interior ministers meet today (5 June) to try to break a two-year deadlock over reforming asylum rules with a deadline looming and pressure from Italy’s new populist leaders. 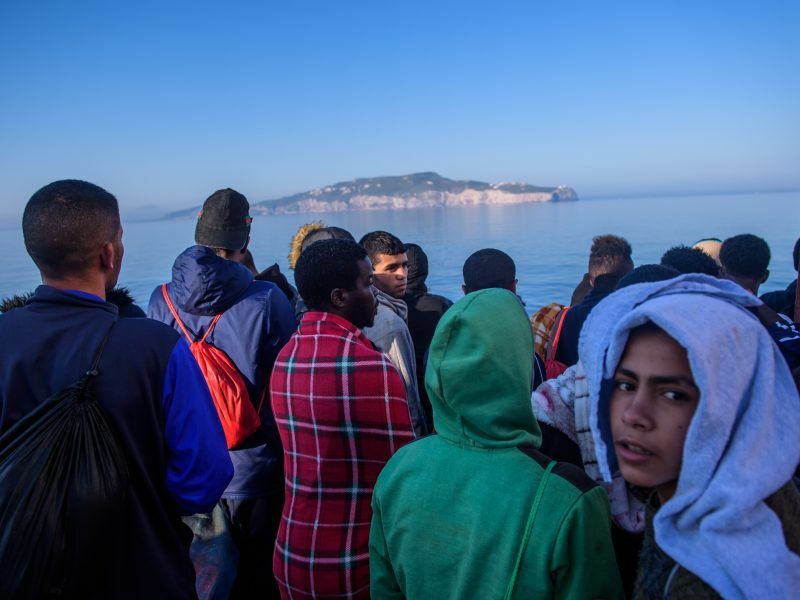 The new government however is already facing criticism over its silence about the killing of a migrant in the southern region of Calabria — which Salvini represents in the Senate. Sacko Soumayla from Mali was shot dead Saturday night by an unknown assailant, who fired at him and two others, according to one of the two survivors. Soumayla was an agricultural worker and activist for the USB trade union which represents the industry’s many precarious workers. Italian media report that investigators do not believe the attack was racially motivated, but the absence of a statement on the killing from the new government has left some perplexed.